Why is being happy so hard sometimes? James D Horton shares 12 common sense principles that you can use to guide yourself on the road to happiness. If you think it’s gotten so bad it couldn’t possibly get better or if you think you have it all and should be happy but aren’t this book will show you what you can do to live happier. For many, a successful relationship is the first goal towards being happy. This book is specifically tailored to those who would like a better, happier love life. It is filled with real life stories and examples of how to apply the 12 principles and is casual, fun and easy to read. YOU have the power to guide yourself on to the road to happiness. 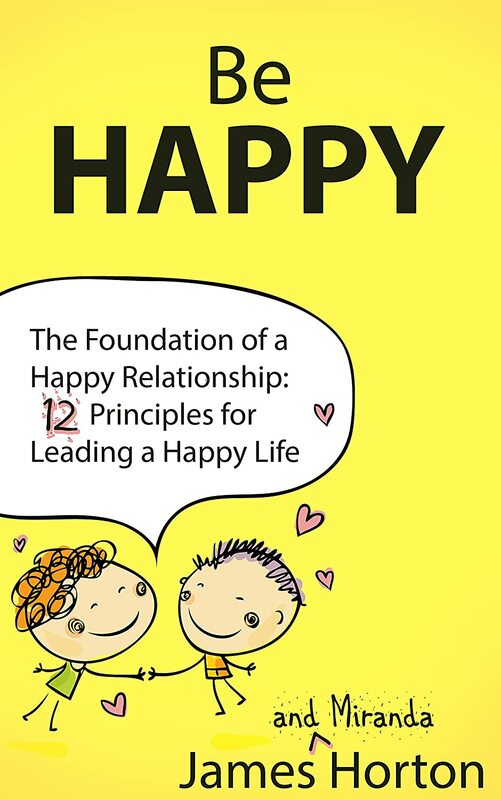 Visit the author’s webpage linked in the book for a free PDF companion guide containing essays, practical exercises and drills to help you really understand how to be happy. Miranda (my Fiancee/Editor/Co-Author) is my inspiration. She outlines my ideas for me, she edits my work, she also makes sure I get my writing time in each day. She also does a lot of the promotional work and the behind the scenes stuff so I can focus on turning out words. She is my source of inspiration. All my life I’ve been a storyteller. I wrote my first short story at six years old and I haven’t stopped writing and storytelling since. I live my life as an adventure. I like to think that each day is just as magical as we make it and that life was meant to be enjoyed. I see life as a game that we are all playing, the better you play, the happier you are going to be. The world of self-publishing combines my two greatest loves, being an entrepreneur and writing. As I take this journey I hope you will come along on this new adventure with me. I live in Missouri with my Fiance and our six children where our house is never quiet but we still find time to laugh and love and enjoy the day.